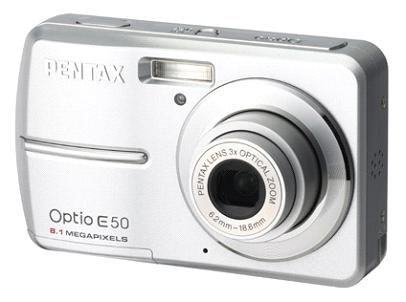 Sticking with the recent theme of writing about today’s entry-level cameras, Pentax has joined the game with the Optio E50 model. Requisite specs include an 8.1-megapixel sensor, 3x optical zoom, a 2.4″ LCD screen, and…it runs on two AA batteries if your heart so desires! I know Gary’s does.